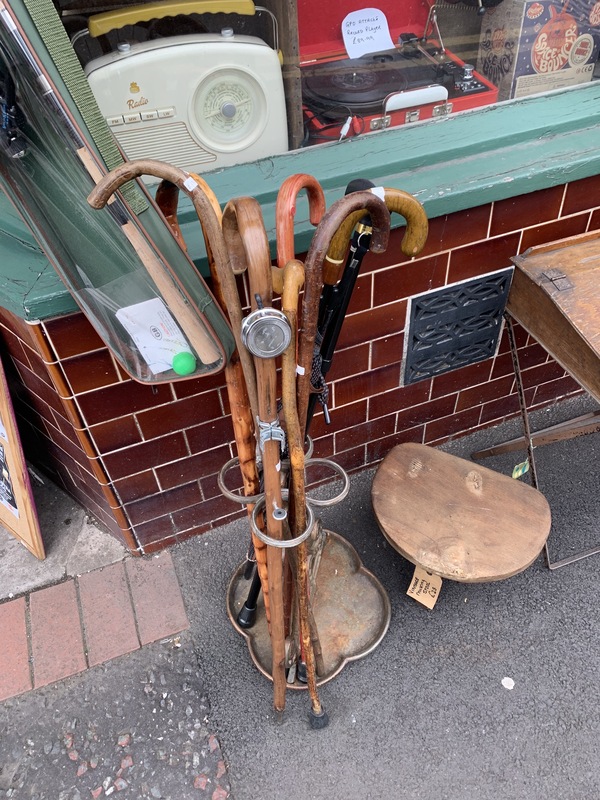 April 12th – Mindful Gifts secondhand shop in Darlaston, lunchtime: A selection of every kind of wooden walking stick you could wish for, each with a history and story known only to itself. This is a wonderful shop and always a delight to mooch around – so much more interesting than a normal charity shop: It’s frenetic, frantic and stacked to the rafters with… Interesting stuff. All in aid of folk with dementia, so what’s not to love? If I were to need a stick, I’d definitely have the one with the bicycle bell.